Self-care should be a top priority in all trauma-informed care initiatives. Working in behavioral health and human services can cause a significant amount of mental and physical stress, lead to burnout and compassion fatigue, and expose individuals to vicarious trauma. Consequently, working in a trauma-informed way requires constant focus, self-awareness, and positive energy. Accomplishing this requires that a trauma-informed approach prioritizes an organization taking care of employees, coworkers taking care of each other, and finally caring for yourself. Join this webinar to learn about compassion fatigue, secondary traumatic stress, vicarious trauma, and burnout. You will also discover the need for all staff members to prioritize self-care. You will then discern the steps you can take to move from compassion fatigue to compassion satisfaction and how to focus on self-care to strengthen the quality of the services you provide. Relias, LLC, #1273, is approved as a provider for social work continuing education by the Association of Social Work Boards (ASWB) www.aswb.org, through the Approved Continuing Education (ACE) program. 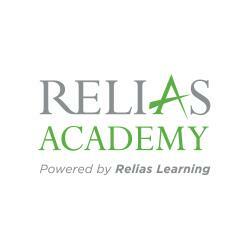 Relias, LLC maintains responsibility for the program. ASWB Approval Period: 2/10/2018-2/10/2021. Social workers should contact their regulatory board to determine course approval for continuing education credits. Course Delivery Format: Asynchronous Distance Learning-interaction includes quizzes with questions and answers, posttests. This module is Text-based with audio. Social workers participating in this course will receive 1.00 Clinical continuing education clock hours. 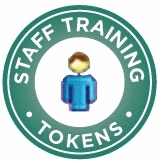 Categories Counselor I or II, Preventionist I or II, CARS I or II, CODP I or II or II, PCGC II, CCJP II, CAAP I, CRSS I or II, CPRS I or II, MAATP I or II, RDDP, NCRS II, CFPP II, CVSS II This activity is approved for 1.00 contact hours. Define compassion fatigue, secondary traumatic stress, vicarious trauma, and burnout. Describe the importance of practicing self-care. Identify at least three ways in which you can practice self-care. Conduct a self-assessment of your work well-being. Karen Johnson, MSW, LCSW, Director of Trauma-Informed Services at the National Council for Behavioral Health, has over 19 years of clinical and administrative experience in child welfare and community-based mental health. She joined the National Council in April 2014 after working at SaintA in Milwaukee in numerous roles, the most recent being the Division Director of Community Services. While at SaintA Karen became certified in the ChildTrauma Academy’s Neurosequential Model of Therapeutics and was integrally involved in SaintA’s journey to become a more trauma-informed organization. Karen spearheaded the development and implementation of housing and supportive services for former foster youth and worked to strengthen systems serving this vulnerable population. Karen is also the parent of an adult child with severe and chronic mental illness. With her joined professional and lived experiences, Karen brings a distinct perspective to mental health and addiction disorders work and is passionate about helping to move organizations towards trauma-informed approaches. Disclosure: Karen Johnson, MSW, LCSW has declared that no conflict of interest, Relevant Financial Relationship or Relevant Non-Financial Relationship exists. The target audience for this course is: entry level Alcohol and Drug Counselors; entry level Marriage and Family Therapists; entry level Nurses; entry level Professional Counselors; entry level Psychologists; entry level Social Workers; in the following settings: Health and Human Services.